“Cost Containment Strategies for the Beginning of the Workers’ Compensation Claim,” a blog series by Jennifer Morris Jones is now available on the Cranfill Sumner & Hartzog LLP (CSH Law) Workers’ Compensation microsite, www.cshworkerscomp.com/. 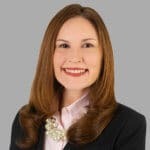 Throughout the 10-part series, Jennifer, an attorney in the Raleigh office of CSH Law, reviews cost containment strategies of the workers’ compensation claim process including initial investigations, background investigations, recorded statements and medical records. To view the complete series, visit www.cshworkerscomp.com/resources/blog. Jennifer Jones is a partner in the Raleigh office of CSH Law. She is a North Carolina Board Certified Workers’ Compensation Specialist.